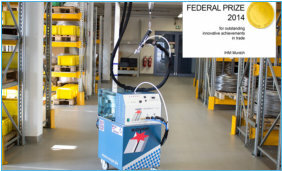 New welding gun wins German Federal Innovation Prize 2016. Heinz Soyer Bolzenschweißtechnik GmbH has won the Federal Prize 2016 for Outstanding Innovative Achievement in the Craft Trades at this year’s craft trades fair in Munich. The prize was awarded for their innovative stud-welding gun PH-9 SRM+G, which was exhibited at the fair. Thanks to the integrated earth connection, the requirement to use separate earth clamps when welding is now a thing of the past. The time-consuming and awkward process of fastening two separate and symmetrically arranged earth clamps to the workpiece has become superfluous. The mass transmission now takes place via a contact ring spring-mounted on the support tube. In combination with the SRM® technology developed by Heinz Soyer GmbH, this prevents the dreaded blowing effect with one-sided concentration of beading and unsightly scorching on the workpiece. This technical innovation spelling major reductions in the workload as well as a marked improvement in product quality and safety is currently awaiting a patent (No. 10 2015 221 384.6). Since 1989 Heinz Soyer GmbH has been awarded the German Federal Innovation Prize twelve times. At the Euroblech 2016 trade fair in Hanover, Heinz SOYER presented the possibility of welding oversized M16 studs with a mobile miniature device in pocket format. 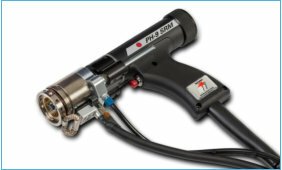 In conjunction with the stud-welding inverter BMK-12i, the newly developed welding gun PH-9 SRM16 allows you to weld studs made of steel and stainless steel up to M16 onto thick and thin metallic workpieces without using ceramic rings and thus to achieve first-class welding results without weld bead and weld splatter. In addition, thanks to an innovative gas shroud on the PH-9 SRM16 welding gun, shielding gas consumption was reduced by up to 90%. More than 10,000 welds (HZ1-8mm) can now be performed with 2 litre mini gas bottles and large, heavy and classic gas bottles are thus a thing of the past. Since the BMK-12i welding inverter was also reduced to a minimum in size and weight (7.8 kg) and the total system has drastically reduced energy consumption thanks to innovative technology, there are hardly any limits anymore to mobility, flexibility and the possible applications of all types, such as in mechanical engineering, container construction, vehicle construction, shipbuilding and apparatus manufacturing. A patent was recently applied for this innovation (Pat. No. : DE202016100923), which was given the “Award zur Euroblech” innovation award in the “Joining Technology” category at the Euroblech trade fair. The variable technology makes this gun ideal for different stud welding tasks - whether on problematic surfaces or delicate parts, whether steel, stainless steel, aluminium or brass. The innovative system changeover on the gun body allows switching between gap and contact welding in a matter of seconds. Welding range: Studs and pins from M3 - M12 or 2 - 12 mm. Material: Steel, stainless steel, aluminium and brass. Patent pending - No. 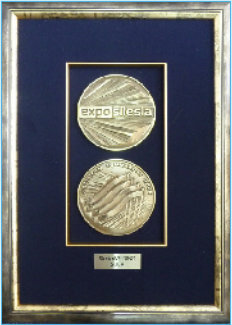 : DE 10 2013 201 463 A1 Bavarian State Prize 2013. Heinz Soyer Bolzenschweisstechnik GmbH received the Bundesinnovationspreis, one of Germany’s most coveted innovation prizes for the eleventh time at this year’s international Handwerksmesse in Munich, a trade fair for the crafts and skilled trades. This innovation prize recognizes SOYER's mobile stud welding station HesoMatic-9 which combines energy source, control unit and feeding unit in one compact housing. Further advantages of this new technological development are: • Requires 50% less space owing to a compact design in a single housing • No cumbersome and time-consuming manual feed • Maximum operating comfort and significant time savings • No elaborate cabling between units, thus minimizing the risk of error and susceptibility to damage • Large diameter feeder bowl of 300 mm for long studs and large filling capacities • Trouble-free transport due to stud feed via steps and low-noise operation • Long service life due to high-grade, hardened and ground mechanical components • One-piece casing as a protection against welding spatters, dirt and noise. P.T.H. “ COMPART ” Z.Dziembowski received the innovation award, one of Poland’s most coveted innovation prizes, at International Welding Fair "Silesia WELDING" in Sosnowiec. This innovation prize recognizes SOYER's stud welding station BMK- 16i which combines energy source and SRM control unit in one compact housing. This multi-universal welding inverter is ideally suited for different welding procedures such as stud welding, nut welding, electrode welding and TIG welding.The patented SRM stud and nut welding process (patent no. : 10 2004 051 389), in conjunction with the innovative HZ-1 universal weld stud featuring a plane end face and centering tip (patent no. : 10 2006 016 553) enables welds at a sheet thickness to stud diameter ratio of 1:10 instead of 1:4 as previously. In this process, the use of ceramic rings is no longer needed. The numerous advantages delivered by the SRM procedure open up whole new possibilities for application especially in automated stud welding plans and large-scale component production. On this occasion we would like to thank our customers and business partners for the cooperation and the trust you have placed in our company during the past 25 years. We look forward to continuing our mutually beneficial relationship for many years to come. With two decades of expertise in the field of high-speed fastening technologies, we offer the entire stud welding product range from a single source . We are aware of our responsibility to market products which function reliably and over the long term, thus optimally meeting customer needs. 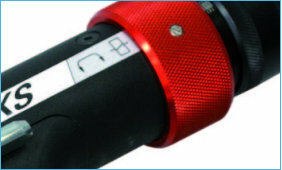 Product innovations and optimisations are the key factors for success of our company. New welding gun wins German Federal Innovation Prize 2016. Heinz Soyer Bolzenschweißtechnik GmbH has won the Federal Prize 2016 for Outstanding Innovative Achievement in the Craft Trades at this year’s craft trades fair in Munich. The prize was awarded for their innovative stud- welding gun PH-9 SRM+G, which was exhibited at the fair. Thanks to the integrated earth connection, the requirement to use separate earth clamps when welding is now a thing of the past. The time-consuming and awkward process of fastening two separate and symmetrically arranged earth clamps to the workpiece has become superfluous. The mass transmission now takes place via a contact ring spring-mounted on the support tube. In combination with the SRM® technology developed by Heinz Soyer GmbH, this prevents the dreaded blowing effect with one-sided concentration of beading and unsightly scorching on the workpiece. This technical innovation spelling major reductions in the workload as well as a marked improvement in product quality and safety is currently awaiting a patent (No. 10 2015 221 384.6). Since 1989 Heinz Soyer GmbH has been awarded the German Federal Innovation Prize twelve times. P.T.H. “ COMPART ” Z.Dziembowski received the innovation award, one of Poland’s most coveted innovation prizes, at International Welding Fair "Silesia WELDING" in Sosnowiec. This innovation prize recognizes SOYER's stud welding station BMK-16i which combines energy source and SRM control unit in one compact housing. This multi-universal welding inverter is ideally suited for different welding procedures such as stud welding, nut welding, electrode welding and TIG welding.The patented SRM stud and nut welding process (patent no. : 10 2004 051 389), in conjunction with the innovative HZ-1 universal weld stud featuring a plane end face and centering tip (patent no. : 10 2006 016 553) enables welds at a sheet thickness to stud diameter ratio of 1:10 instead of 1:4 as previously. In this process, the use of ceramic rings is no longer needed. The numerous advantages delivered by the SRM procedure open up whole new possibilities for application especially in automated stud welding plans and large- scale component production.